The family orientated addition to our fleet is this six berth Iveco Discoverer 6. 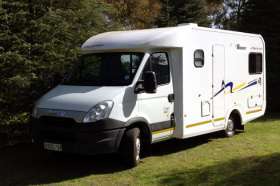 Designed and built on a reliable Iveco Daily 35S14 chassis, it sleeps six persons and is a quality vehicle which will take you through South Africa in style. 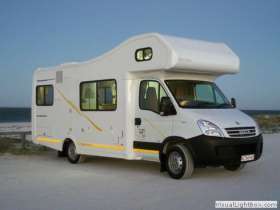 Largest rental motorhome available in South Africa. I am interested in the "Discoverer 6".